Over the course of the eReader race so far, one of the biggest points of contention has been the potential for book lending. 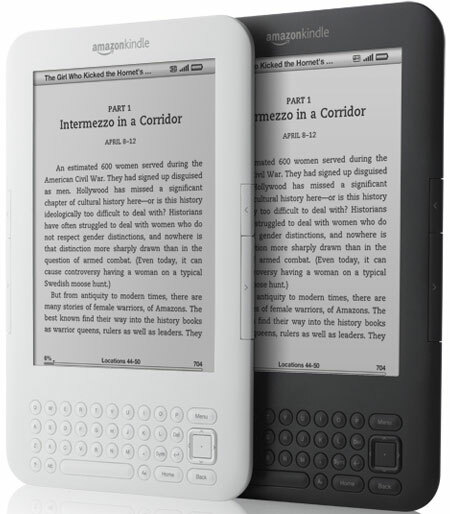 For quite a while, this was a major factor in the Nook’s favor when people considered the Kindle vs Nook question. Later, when the Kindle managed to get an equivalent to the long-standing Nook Lend Me feature, it pretty much because a moot point. Now the focus with regard to lending has shifted in large part from an individual concern to questions of institutional lending. At the moment, it is significantly easier for somebody to walk into a library and get themselves an eBook loan if they have an EPUB compatible eReader. This is a pain for Kindle owners, but overall it makes sense given the current state of eBook formatting and such. It just makes more sense to go with the more widely accepted, more advanced, and more likely to last of the available options when you think about the problem from the point of view of eBook lending system developers. Putting aside Kindle-specific concerns for a moment, eBooks in general have problems involving the lending concept. Take the recent issue with HarperCollins. They’ve decided to put an arbitrary cap of 26 checkouts on their eBooks on the assumption that this is roughly equivalent to the average number of uses a paper book will see before needing to be replaced. Even assuming this is correct, which seems doubtful, this is nothing short of ridiculous. It works to highlight an important point, however. Can we truly expect to treat eBooks the same way we do their paper counterparts? There are arguments on both sides, but most of the pro-lending ones seem to stem from either the idea that the improved circulation will be inherently good for a given author or that given the long-standing precedent for lending which goes along with books it will be impossible for eBooks to be a comprehensive replacement for many people while lacking this ability. I admit scepticism. The fact of the matter is that as eBooks gain popularity, certain changes will have to be accepted. Among these will be a reinterpretation of the appropriateness of unrestricted lending. I don’t agree with the publisher reaction on this one, but I do think that you need to either have your books be freely lend-able or remove the option entirely. It is impossible to productively compare the durability of a paperback to the period over which a purchased license to lend a Kindle book, or any eBook, should retain its value. The problem I run into is that I can’t think of where to draw a better line. Time-based licensing is out, because it would force libraries to repeatedly pay to maintain access to books which may never see use. If you’re going to have a checkout-based system, it should obviously account for the inherent lack of publisher expense involved in re-granting a license, but where do you draw the line fairly for consumers while still making sure authors get the money they deserve for their productions? Overall, more questions than answers, but I think that for now the issue of lending is going to be more trouble than it is worth for everybody while people get over the idea that free book lending is a necessary part of the reading experience. One of the more eagerly awaited Kindle features lately has been book lending. While lending was announced a while go, of course, it’s only just been turned on. Guess what? It works! There’s still some question, however, as to how much good this is going to do for people in the long run, or the short run for that matter. The Nook has had its lending feature available pretty much from the start, of course. A lot of people have held it up for quite some time as a major selling point in favor of the supposed superiority of Barnes & Noble’s offering. In practice, we’ve not noticed a whole lot of use. The problem in both cases is the limitation of a single borrower per book purchase even on those books that offer it as an option at all. Book lending is simply something that lends itself to the physical exchange of materials. You take something off your shelf, hand it to somebody, and hope to get it back later on time. Sure, you get added wear and tear that way and the possibility of never getting the book back, but that’s an accepted risk. The point of this observation is that it is a risk taken on by the owner of the book. Such loans aren’t considered a slight to the author or a major impediment to the success of book sales, right? So why is it necessary, I wonder, to prevent such things from taking place in the book market of the future? Apparently lending is one of the many things undermining the very fabric of the book production industry today. This current state of publishing in the eBook marketplace provides us with this little bit of paranoia in addition to the already widely “loved” pricing model that puts new releases at a slightly higher price than their physical counterparts on many occasions. It’s not all bad though. On the plus side, many people have never really been big book lenders in the first place and may well get everything they need out of this. Given the wonders of the internet, many people may even get a chance at books they are uncertain about buying. Successful communities have sprung up for Nook owners allowing for exchanges between complete strangers with similar interests, and those like the GoodReads Kindle Lending Group are already finding uses for this recently activated feature. You can’t say this is a bad idea (the popularity of the Nook’s LendMe stuff speaks to that), it’s just not quite there yet. The technology obviously exists to make sure that a single instance of a digitally purchased book can be restricted to one device at a time, so the first step to a larger system is taken care of. All we need to wait for is the hopefully inevitable loosening of restrictions on text lending once companies realize how little good it’s doing to keep a tight hold on them. I like that the feature is there, but until more is done with it, I can’t help but view it as basically a trial run for a much more useful potential Kindle feature further down the line.